Connecting the World's Gang Enforcement Professionals! The Future of Gang Enforcement is BLACK. Now you can be a member of and connect with officers in all 50 states and international chapters - at one time - in one place! Have a team of 4 or more? Call 321.279.5727 for special unit pricing! What is GFORCE BLACK | All Access? By becoming a member of BLACK, you become an essential part of one of the most aggressive, comprehensive, and technology driven initiatives ever developed for gang enforcement professionals. BLACK was established to develop an elite unit, representing all disciplines of the criminal justice system, within one of the fastest growing assemblies of gang enforcement professionals in the world; the Gang Enforcement Network. BLACK focuses on Gang Enforcement’s “G5 Philosophy,” which supports five disciplines vital to successfully combating gang crime; Intelligence, Law Enforcement, Corrections, Prosecution and Probation. 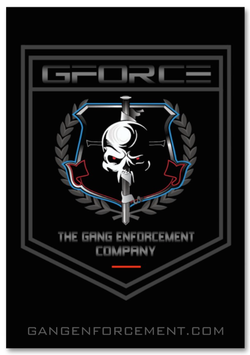 These five (5) disciplines, acting as one force (GFORCE), is the global standard in how we prepare today’s officers for tomorrow and tomorrow’s officers today as certified gang specialists who develop and execute new strategies to effectively combat gang crime and ultimately reduce gang violence. BLACK is NOT another static membership program. 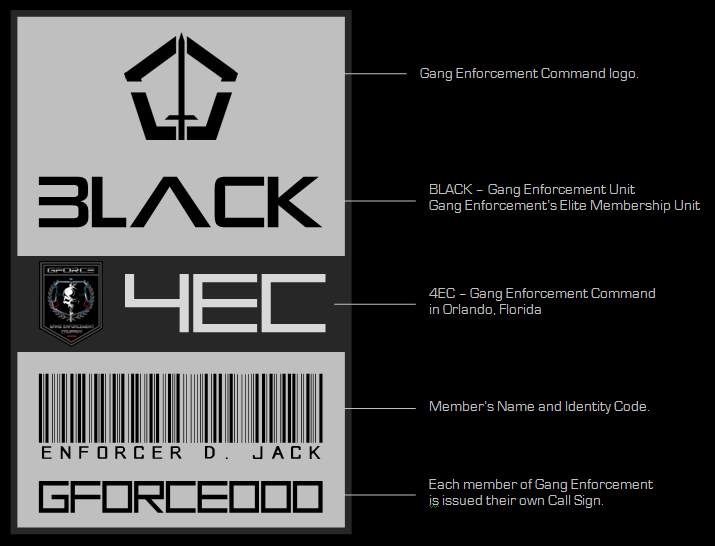 BLACK is an operational team focused on zero-tolerance enforcement and real-time intelligence sharing. 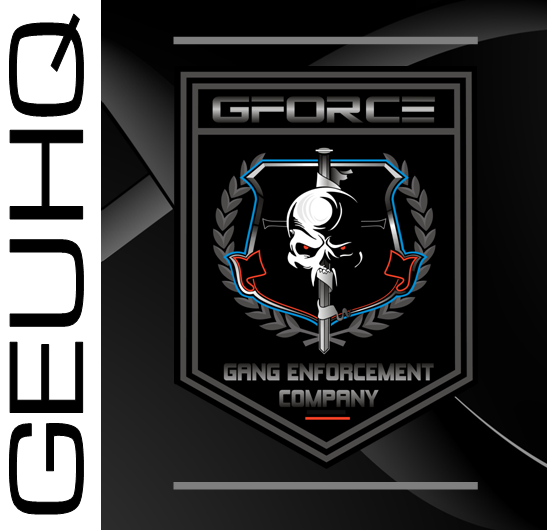 Becoming part of this elite group provides you with 24.7.365 Level 4 Security Clearance to Gang Enforcement’s Ecosystem to deepen your gang knowledge and expand your professional network. A “call sign” is a unique designation formally assigned to disguise an individual and/or unit’s identity. ​For this purpose, we issue call signs instead of traditional membership numbers. Your call sign is based on the time you join BLACK - this call sign will forever be yours. ​No two unit members will ever be given the same call sign and if your membership goes inactive, the call sign is retired never to be issued again unless you re-join within 2-years. "I get your network alerts. Have been long before we linked up – funny thing is, a lot of times ​I get resources from you before I get them from ‘official’ channels." "The most comprehensive Gang Enforcement unit around. If your in Law Enforement and you don't sign up ​you've gotta have your examined. Just hang with Rusty Keeble and his expert training staff and they ​will teach you everything you need to know to become a expert in gang identification and ​gang prevention. They truly are the best around." "The Gang Enforcement Network is a game changer. 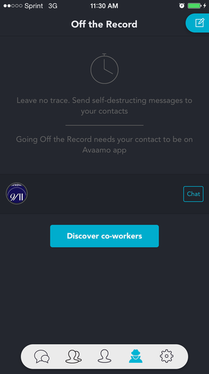 The ability to connect with and share information with fellow officers securely from the field, in real time no doubt, ​is something we have all been waiting for!" "I can't believe how easy it is to reach out to this network of officers from my phone and the fact it's instant is powerful when you're looking for feedback at that moment and not having to wait till I get back to the office or look through my phone for someone who may know what I need. ​I just put out an RFI and someone responds. 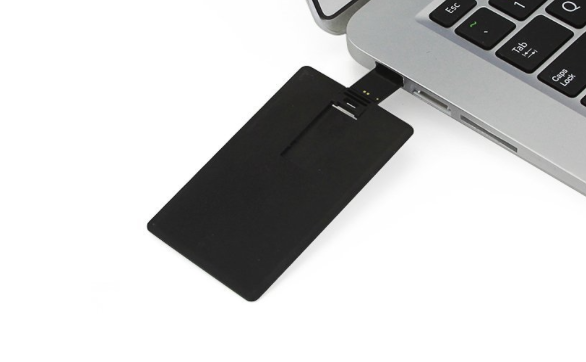 Great resource!" 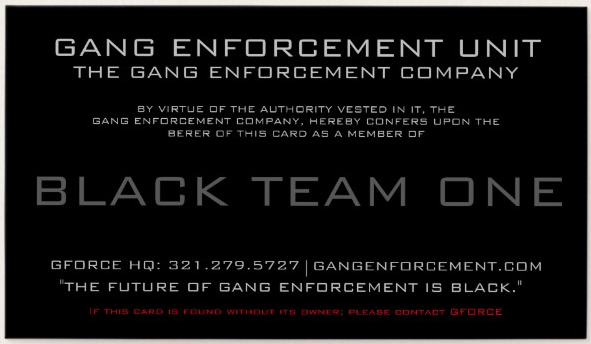 The Gang Enforcement Network is a secured private professional networking platform that functions like LinkedIn, but its features are tailored for gang enforcement professionals. To be granted access, you must be an active criminal justice professional (i.e., law enforcement, corrections, juvenile justice, prosecutors and/or military police), verified through multiple levels of security. All Access members have full functionality of the entire platform to include Weekly Briefings, Training Tips, and more. Members can join any and all State Chapters to communicate directly with members from their own state as well as join any and all other state chapters giving you global access. Stay connected to fellow officers in a secure, private members only environment. 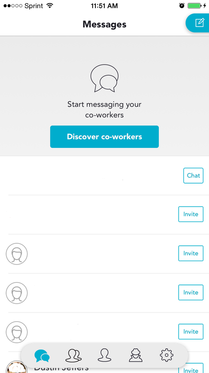 Keep in touch with your colleagues and expand your professional network. Collaborate with fellow gang enforcement professionals sharing valuable information and resources to address today's gang threat. All Access gives you this capability in real-time! Keep up to date with all the latest gang threats, issues, security news, reports, and activities from throughout the United States and Abroad - in one central location. Save valuable time searching for colleagues iin other parts of the country and with no quarantee your talking to who you think you are. 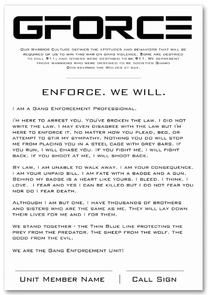 The Gang Enforcement Network provides you access to vetted officers - instantly. Get access to Gang Enforcement's Subject Matter Specialists known as Thought Leaders ranging in a variety of threat topics such as street gangs, prison gangs, biker gangs, terrorism extremism and more. Gang Enforcement | Mobile has a simple mission: to connect the world’s gang enforcement professionals and give them a secured mobile network that allows them to communicate, share information and increase their gang knowledge securely from the convenience of their smartphone or tablet while still be accessible from their desktop as well thus making them more productive and successful in combating gang crime - in real time. The Armory is a digital resource library of gang information, training tips, gang profiles, maps, threat assessments, etc. exclusively accessible to members of GFORCE BLACK. There are hundreds of resources for gang enforcement professionals to use in their day-to-day mission to combat gang violence, crime and membership and more added weekly. See Examples Below. 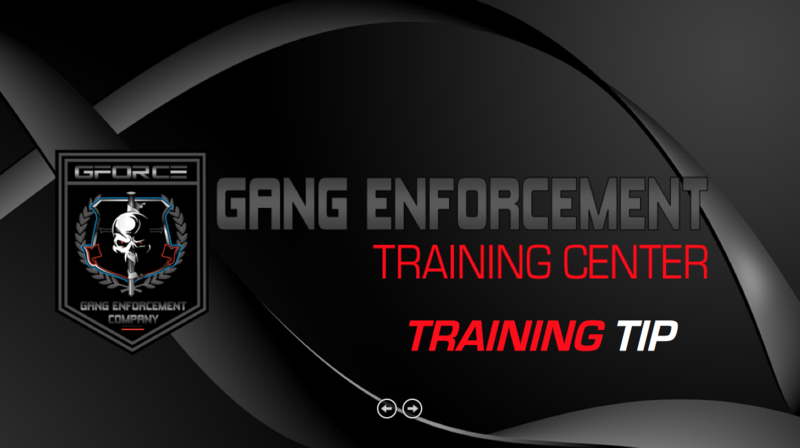 The Gang Enforcement Training Center offers exclusive training access to members of BLACK | All Access. Lastly, we are working on the logistics for the first of its kind 3-day Gang Enforcement Trends, Tactics and Strategies Conference limited to just 100 spots and those who are members of BLACK will be given VIP first chance pre-enrollment access to secure your spot before open enrollment and the 100 spots fill up. Pre-Enrollment will be done in stages with Lifetime Members given first access, Annual Members given second access. BLACK Team One will also have special enrollment tuition, registration package, seating and more. We are so confident that All Access can help you and your unit, we're backing our membership with our new Got Your Six Guarantee. If you're not completely satisfied, we got your six. Let us know within the first 30 days and you can cancel - no questions asked. * Black Team One membership is a recurring monthly or annual membership that will continue till Command is contacted with an official request to cancel membership. ** You must have form of payment on record for monthly subscription. *** All merchandise items, benefits, and services included in GFORCE memberships and packages are subject to change at any time. **** Lifetime Membership: You will receive a new member package each year w/ complimentary shipping and 30% discount code. You will receive one new Lifetime Member T-Shirt in January of each year.